Quickstacker blends form with function for a slim, attractive profile. The plastic contour-molded seat and back provide added comfort, while allowing stacking of up to 40 chairs high on a dolly. 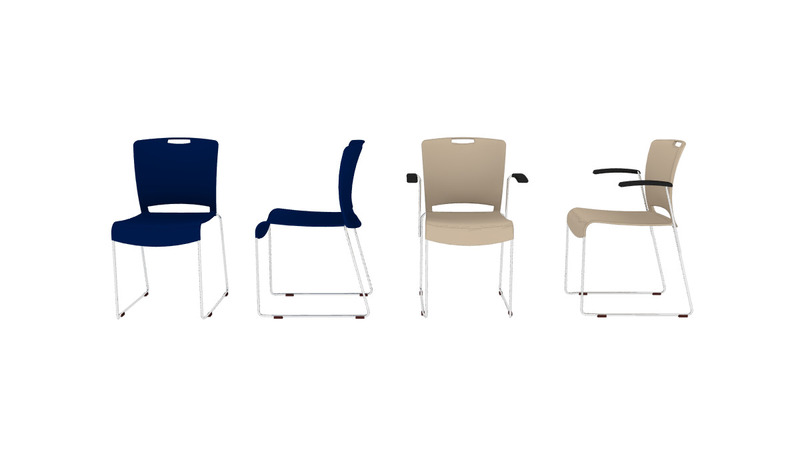 Available in nine popular colors, it's ideal for convention halls, seminar rooms, meeting areas and auditorium settings. Options include ganging, with or without arms and glides. Now available in a new task version, Quickstacker features endless possibilities guaranteed to meet any taste or budget.